David Frank Ford is an academic and public theologian. 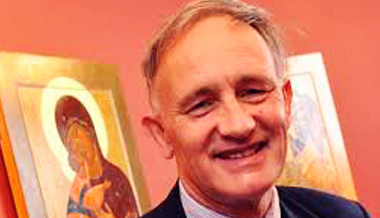 He has been the Regius Professor of Divinity at the University of Cambridge since 1991. His research interests include political theology, ecumenical theology, Christian theologians and theologies, theology and poetry, the shaping of universities and of the field of theology and religious studies within universities, hermeneutics, and inter-faith theology and relations. He is the founding director of the Cambridge Inter-Faith Programme and a co-founder of the Society for Scriptural Reasoning. David Ford on friendship, salvation, and reconciliation. Love should lead us across boundaries.